A Kentucky Judge, one whom has been scrutinized for years due to this case has finally laid out judgement. The courts, specially Judge Thomas Wingate ordered that Amaya Group Holdings pay out $290 million in fees. 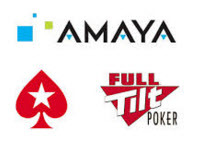 This is due to a case that revolves around PokerStars & FullTilt, both of which were not owned by Amaya Gaming at the time but instead the Rational Group. The state of Kentucky attempted to seize the domains for both FullTilt & PokerStars back in 2010, this essentially would’ve allowed for Kentucky to claim the names for themselves and rebrand the site. In return this would’ve allowed for Kentucky to raise a far greater amount of capital for their expenses as a state. The case was only able to be taken into the courts due to a seventy-three-year-old law, a law which rules that a thirty party can press a case if & when a creditor fails to do so. Essentially it’s a very loose termed law that’d allow for any third party to take over any company after a creditor failed to contact the company for late payments. Luckily it’s actively known that this law is not commonly practiced anymore and it’s also known that Kentucky wasn’t able to obtain the domain names nor collect damages from the Rational Group. Giving a $290 Million fine to Amaya is simply childish which is why the company is fighting back, stating that the Judge has no legal standings of pursuing this matter after Kentucky wasn’t able to obtain domain names or funds from previous owners The Rational Group.